The General Archives category currently contains 21 archives from and on organisations, press and ephemera collections as well as micro holdings that cannot be assigned to any particular holding. In most cases, these archive holdings are strongly linked to the politics, history and societies of southern Africa, with a particular emphasis on the second half of the 20th century. Archives of organisations provide insights into thematic as well as operational aspects of an organisation’s work. Sometimes, they also include photo and sound documents. 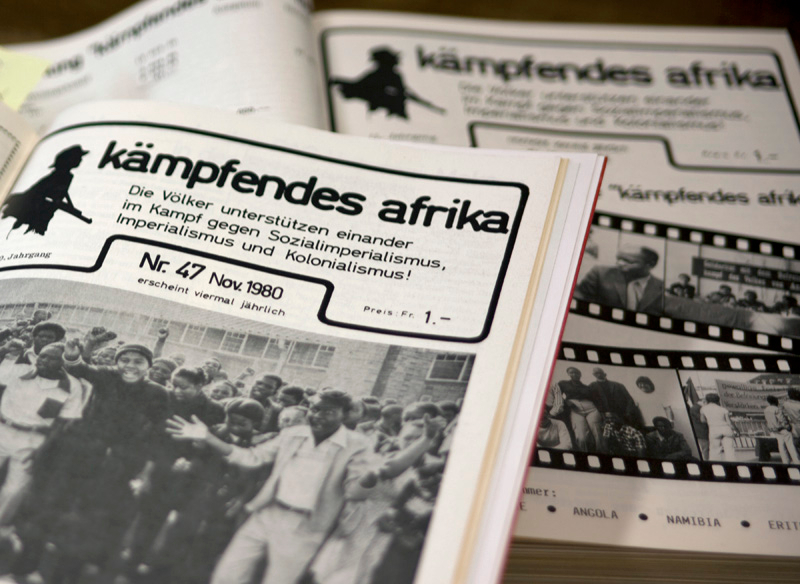 Among the materials in the general archive, several organisational archives may be found that stem from the period of the anti-apartheid and solidarity movement. 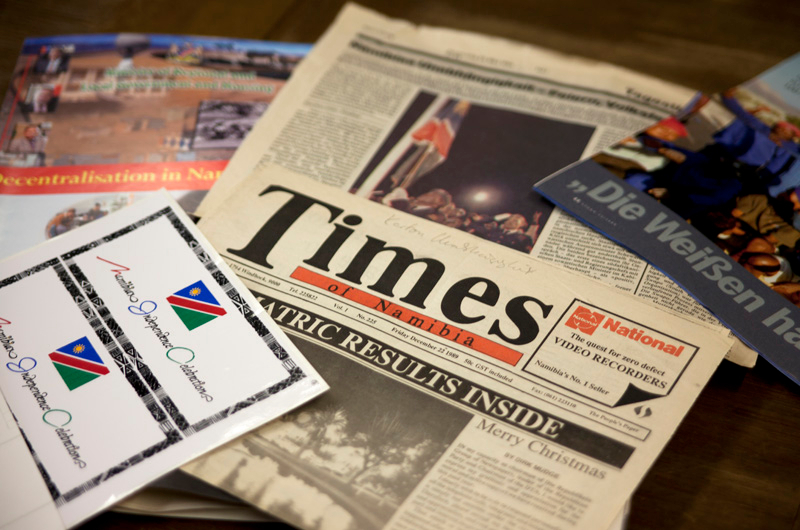 The BAB’s press and ephemera collections relate to many African countries and comprise both unpublished and published materials, including press articles as well as grey literature (brochures, leaflets, flyers). Some of these collections were acquired from individuals or organisations, but most of them have been developed in-house. A collection of shopping bags is currently in development.